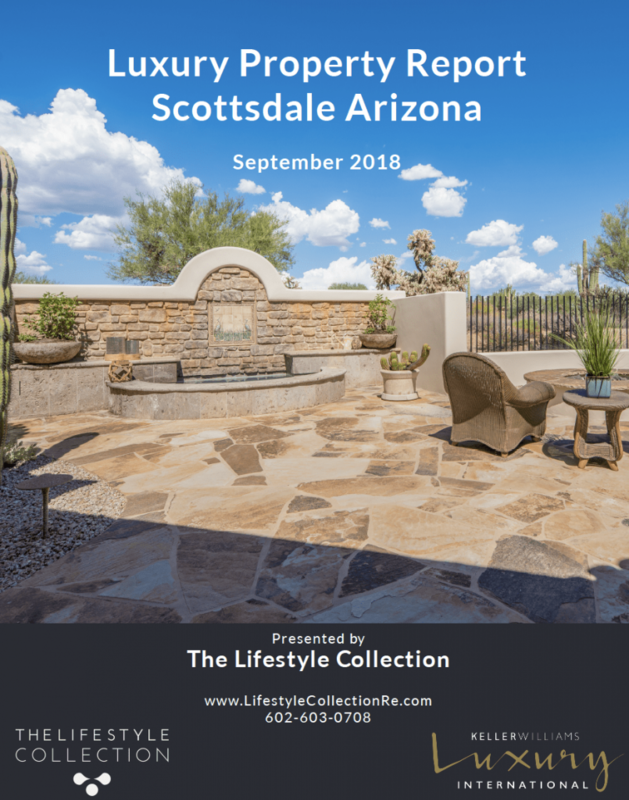 You can read the full Scottsdale Luxury Property Report for September 2018 below. Clicking on the full-screen square in the lower right will provide the best viewing and reading experience. The Scottsdale single-family luxury market is a Buyer’s Market with a 12% Sales Ratio. Homes sold for a median of 94.96% of list price in August 2018. The most active price band is $1,100,000-$1,199,999, where the sales ratio is 32%. The median luxury sales price for single-family homes has decreased to $1,252,500. The median days on market for August 2018 was 146 days, up from 133 in July 2018. If you are interested in what your home may be worth in today’s market, please visit our Scottsdale Home Valuation page. We also produce a detailed North Scottsdale Luxury Property Report that covers all of North Scottsdale. This report also covers specific luxury neighborhoods, including Desert Mountain, Desert Highlands, Estancia, Silverleaf, Troon, Mirabel Club and Whisper Rock Estates. If you would like to contact us to learn more about the concierge level of service we provide when listing a home, please call Jordan Ayan at 602-603-0708.